This huge National Supermarket chain (We aren’t allowed to name them) needs te keep reducing Energy consumption throughout it’s National Estate. They required a replacement to their existing heating system at their Emerson Green site with a new Ground Source Heat Pump (GSHP) to help reduce energy costs and meet company emission targets. Working through Carmel (UK) Ltd design, Mercury Climatic Services installed some 30/45°C LTHW mapress pipe work from the GSHP packaged plant room to feed a variety of heaters and AHUs. The GSHP also supplied the hot water for the building via an integral calorifier. 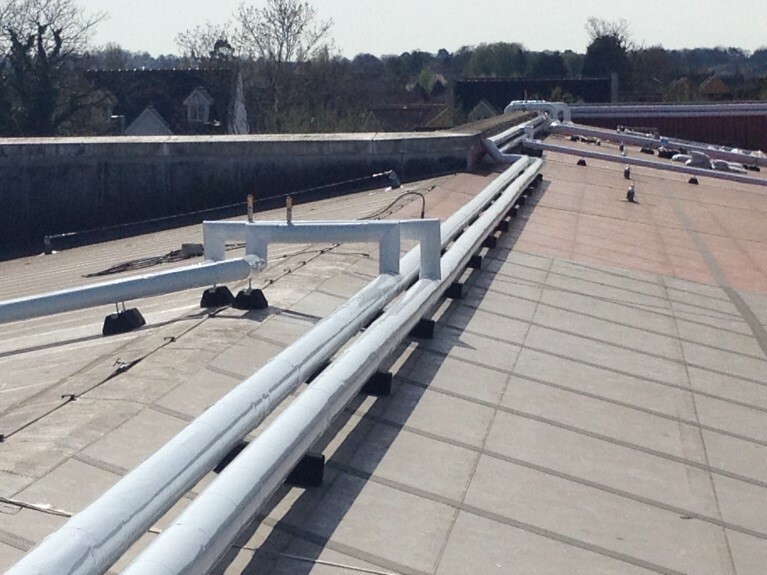 As a part of the same project, we had to reconfigure the existing AHUs to accept new LPHW coils and also gave them a refurbishment to prolong their life and performance.